Disney Channel at the turn of the century, though, was not particularly driven in that way. 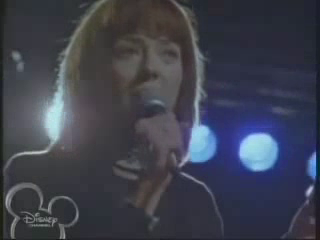 If So Weird was on today’s Disney Channel, the Molly Phillips Band would be marketed into oblivion. (Undoubtedly, Christy Carlson Romano of Even Stevens and Kim Possible would also have gotten a bigger push than The Walt Disney Company’s paltry efforts to support her as a singer-songwriter of sorts.) But the Channel didn’t learn exploitation techniques like that until Lizzie McGuire and That’s So Raven, which is part of the reason why so many turn-of-the-century Disney Channel shows are only alive thanks to the tireless efforts of VHS rippers and data hosts. But music in So Weird exists on more than just a marketable level. True, the songs in Hannah Montana are a bit on-the-nose with regards to the theme of the particular episode; but they’re also in the mold of contemporary pop music, twisted towards tween expectations and stuffed into a particular model of sitcom formula/iTunes-chart-topping power. In other words, the songs are about what you would expect a 14-year-old to write (Miley Cyrus was 14 when Hannah Montana began filming). Molly Phillips is a complete contrast to Montana. She’s an adult who has lived a long life filled with ups (marriage, birth of her children, recording contracts) and downs (the loss of Rick Phillips and her subsequent slide into writing jingles, evidently the rock star version of depression). Her music resembles less Christina Aguilera and more Joni Mitchell, and Mackenzie Phillips plays the character with just the right balance between a woman bearing emotional weights and an aging rock star looking forward to a new career in order to heal from the tragedy of the old one. “Rebecca” is the first episode to truly showcase Molly Phillips as a character. To this point, she’s largely been on the sidelines; sure, sometimes she gets to be the instigator of the plot (such as in “Simplicity,” when she is on a mission to stop Tad from continuing to use her jingle as a philosophy) or an active element in the weirdness that Fi is investigating (such as in “Web Sight,” whose virtual fortune tellings are specifically about her), but in all other instances she is a supporter standing on the sidelines, trying to be the best mother to her kids while wondering if they even need her. The feeling is mutual for Rebecca. When Fi finally confronts her with the truth (Grandma Kathleen faxes over a picture of a young Molly with Rebecca, conclusive evidence not only of Rebecca’s identity but also that age is not an impediment to adapting to new technologies), she relents: “Your mom is the only friend I ever made.” For someone who’s 1,327 years old, that’s saying a lot. And she shows Fi the book she kept of Molly’s life after they separated, talking about memories as if she’s still living them, expressing emotions like jealousy and sadness as if she, too, had lived Molly’s long life of pain and loss. She has, too: “once you almost get burned at the stake, I guess you tend to keep to yourself.” Rebecca’s family has stayed on the run, never setting down roots. It’s another reason why Molly and Rebecca’s friendship was so special: Rebecca can never repeat that experience. That feeling fuels Rebecca’s frustrations too. She shatters a 1,000-year-old vase (selling things they bought brand-new 500 years later is one of the family’s ways of maintaining their lifestyle) in anger and starts cursing in Etruscan. “That was Etruscan. My mom had a friend there when she was a little girl. That girl’s bones are dust now! Even her language is dead!” Fi, of course, can’t help herself (“Now that it’s really getting weird? Try and stop me!” she tells her mom at the museum where Rebecca said her mom worked). She insists that Rebecca talk to Molly, to tell her some form of the truth and help heal the wounds that Rebecca’s abandonment caused. Where did you go? Why did you lie? Why did you leave without saying goodbye? How ’bout the promise that you made me? another beginning without any end? In any other episode, Fi’s suggestion might have worked. Instead, “Rebecca” pulls off a masterful trick: an expert cross-cut montage that is painful to watch even a decade after the fact. Molly does sound check for the night’s show, and she chooses the song “Rebecca.” Now knowing the full context of why she wrote the song (Fi and Jack are both familiar with it but never really heard Molly talk about the girl behind it), the show delivers a one-two punch. In the first sequence, Fi and Molly return to Rebecca’s house, which is, predictably enough, empty now that Rebecca’s revealed too much to Fi. But Molly still cries out for Rebecca, revealing that she was hoping against hope that her childhood friend might come back to her. The second sequence is equally heartbreaking: a 13-year-old Molly walks into Rebecca’s house with a birthday cake (Rebecca really would have been turning 13 that year) to find a similarly empty house, with no note or explanation as to why Rebecca would simply disappear. Disney Channel spends much of its time targeting young children while also claiming to be for family entertainment, yet much of that entertainment is geared towards manipulating and marketing the kids and the fantasies the shows create. But true family entertainment comes from all characters having a stake. It’s ironic that So Weird, a show Disney Channel has blatantly neglected since 9/11, is one of the only shows in the channel’s entire history that understood this basic principle. Hannah Montana can play at being the most desirable tween girl in the room, but Robby Stewart cannot reach the same emotional depths as Molly Phillips. That pain would be too close to reality; it would shatter the illusion of fantasy that The Walt Disney Company creates. From Disney’s perspective, it’s much more difficult to market a pained reality for revenue than an ill-conceived fantasy of celebrity, fame, and no loss to confront. Mystery shrouds her like an island, does she still remember me? So much of So Weird is about the unknowable. 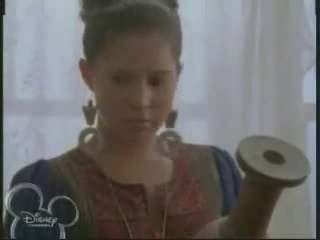 There are a few nods to the show’s mythology in this episode: Rebecca has a picture of Fi’s great-grandmother Fiona, from whom Fi got her name, further cementing the matriarchal witchcraft connection; she also has the Phillips-Kane Band record “Another World,” a song that becomes vitally important later. Molly also talks about how she fought with Fi and Jack’s grandparents as a teenager, the reasons of which will also become clear in time. But this episode is about living in the pain of the moment, of letting Molly sing the song about her childhood friend as she’s never sang it before. And it’s about how not knowing the truth about someone you knew as a child can haunt you well into your adult life. In short, “Rebecca” is So Weird at its absolute finest, a showcase of the kind of unique stories that can be told when the only limitation is “family entertainment” and the only driving purpose is to do a good television show. There are no distractions on Molly’s stage as she performs sound check, no gloss or glamor hanging over her. There’s just the broken heart of a 40-year-old woman who has lost far too many people in her lifetime. Cameron White is a freelance writer currently residing in Arkansas. He writes about television over on his blog, Wayward Television, and tweets about the endless possibilities of Wes Anderson directing a live-action Doug movie.. His obsession with television was founded in 1996 by The Disney Channel and fostered by his discovery of Firefly in the summer of 2007. People threw food at him during a production of Sweeney Todd in high school; it was scripted, but the scars were delicious. THIS. “Rebecca” will always be my favorite episode of So Weird because of everything you’ve highlighted. Molly carries so much pain, and I love that this episode let her show it–it makes her one of the most strong characters in the show because she’s lost so much from childhood. I really wish Disney had let the producers make the planned third season. I always wanted Molly and Rebecca to reunite. Come to that, Disney needs to start making smart, darker shows like this again (or at least rerun the old ones.) I think kids would benefit way more from shows that show flawed characters and storylines that aren’t candy-coated and colorful.